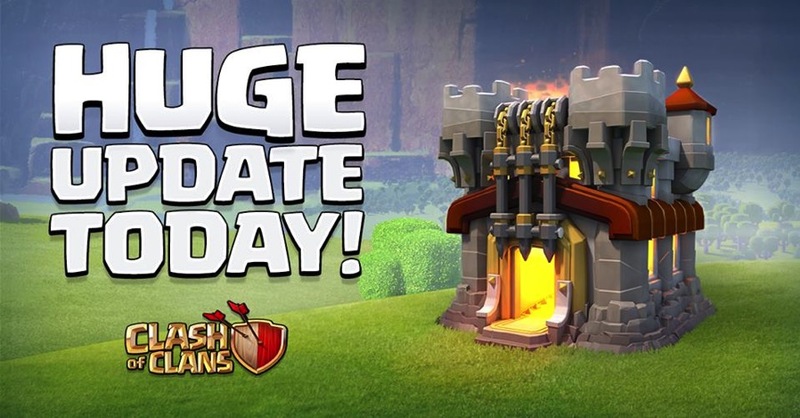 Supercell has brought about the biggest update ever for Clash of Clans today, as it introduces Town Hall 11, the new Grand Warden hero, plus a new defence known as the Eagle Artillery. Beyond changes at Town Hall 11, Supercell has also tweaked troop levels, defense levels and now you can donate a dark spell to clan members. The revamped Shield system means you can attack at anytime now, plus your Town Hall also acts as a storage, so say good-bye to trophy sniping. One of the Biggest Clash Updates – Ever! • Town Hall 11 is bursting onto the scene! BOOM! • Grand Warden & Eagle Artillery: The most powerful and strategic additions ever! • Attack through Shield at any time, but be sure to protect your Town Hall! • Goblins chasing Town Halls, bigger League Bonuses and Trophy offers, and so much more! Turn It Up to TH11! • Experience the biggest, baddest, most challenging Town Hall level ever: Town Hall 11! • New Town Hall 11 hero Grand Warden can make armies nearly unstoppable! • More defenses, including an extra Cannon, Archer Tower, Wizard Tower and X-Bow! • New Town Hall 11 levels for Minion, Witch, Wizard Tower and more! • The Grand Warden toughens all nearby troops and can make them temporarily invincible! • Eagle Artillery only activates after many troops have been deployed, leaving the door open for tactical strikes and cunning multi-phase attacks! • Town Hall destruction no longer grants a Shield – bring your Town Hall inside! • Higher Leagues grant more free Guard – Titan I & Legend players get 100% coverage! • Town Halls now hold lots of available loot – destroy them in battle for a big payout! • Trophy offers get bigger and Trophy losses lower the higher your League! Since we started playing this (damn) game last year, we’re now at a mid-to-high level Town Hall 9, and we’ve outlasted some of our friends that told us to play this game. Let us know what you think of this update—I think it will make the game refreshing again, despite the changes. Click here to download Clash of Clans in the App Store.